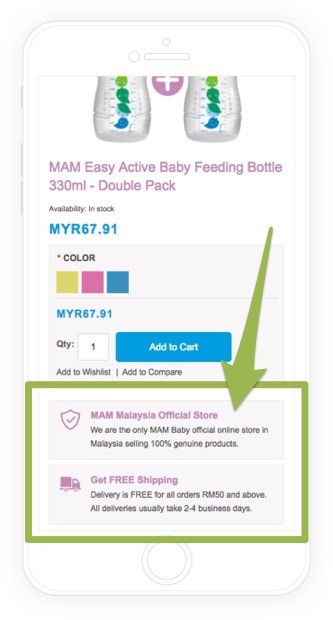 MyMamBaby is the official store of MAM Group in South East Asia. They sell high-quality baby products including innovative bottles and pacifiers. Their biggest challenge was high abandoned cart rate and complicated product discovery. It made it very difficult to scale their sales because of high customer acquisition costs and low customer retention. It was only getting worse with growing mobile traffic. They didn’t know how to address these issues and we started working together on a full-featured conversion optimization strategy to help them scale in so competitive market. Over a couple of months, we were able to boost their conversion rates by 49.7% and improve their customer acquisition funnel to allow them to scale their business faster. Let me show you some of our A/B tests including the reasons why we performed them, the changes and the actual results. John takes an invested, hands-on approach to his work. We have worked together for a number of years now and he has helped us optimize our e-commerce for optimal performance..
Our research suggested that customers have problems with finding the right products for their babies. The category-to-product conversion rate was only 47.1% and their category pages were their top exit pages. Our after purchase customer survey revealed that their customers can’t identify what products are the best fit for them because they can’t filter products by their baby age. The category pages didn’t include any age filters at all. If their customers wanted to find out what products is for their e.g. 3-month baby, they had to go to every product page and check the description. 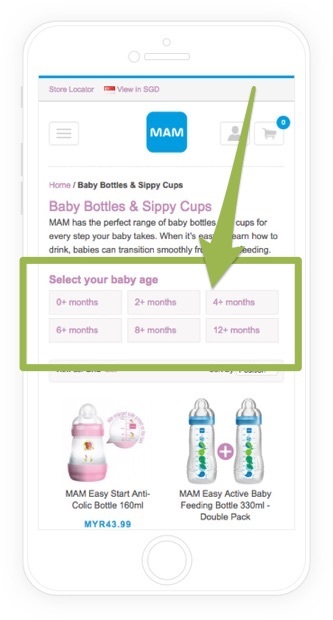 We created a “Variation A” including age filters on top of every category page with a label “Select your baby age:” to motivate them to use it. The data showed high engagement with the new element with 34.8% of sessions with a category page visit using them. The category-to-product conversion rate increased from 47.1% to 66.9% and it had a very positive effect on all other metrics such as exit rate or bounce rate. The most important improvement was 12.7% increase in the conversion rate with 95.7% probability of being the best compared to the original. The data showed high 84.8% abandoned cart rate on mobile with most of the potential customer getting stacked on their shopping cart page. 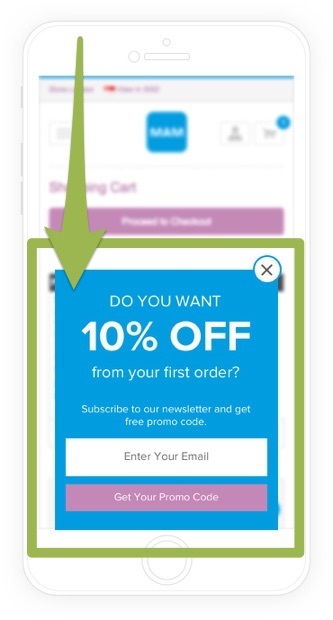 We implemented an exit-intent on-poll on a shopping cart page asking visitors who are just about to leave their page for the reason why they didn’t purchase today. On top of that, our post-purchase customer surveys asked their customers about their motivation and what nearly stopped them from purchasing. The collected insights point to the same issue – they are still making their purchase decision and need more time to compare products from other brands. They are simply not 100% ready to buy just yet and we don’t give them any purchase trigger. It revealed an opportunity to focus on retargeting these visitors when they finally finished their research. We took the insights and created a hypothesis that including a special offer on a shopping cart page will create a purchase trigger. It’ll also be used for collecting their email address to help us with scaling their abandoned cart email campaign. The shopping cart data show that if a visitor spends more than 30 seconds on a shopping cart page, they are 73.5% more likely to abandon their shopping cart. We created “Variation A” that shows a popup on a shopping cart page to all visitors with 30+ seconds on the page or we recognize an exit-intent. The popup offers their exciting promotion for new customers with 10% off their first order in exchange for their email address. Once they submit the form to get their promo coupon, the popup shows urgency triggers with the information about validity only for next 24 hours. We tested the “Variation A” and it resulted in 11.6% increase in conversion rate with 96.7% probability of being the best compared to the original. The popup itself has a conversion rate of 18.2% and it allows them to grow their email list very quickly. The ability to retarget visitors via cart abandonment email campaign paired with retargeting on Facebook & Instagram helped them to reduce their shopping cart abandonment rate from 84.8% to 67.1%. Our conversion funnel analysis revealed that product pages were another step where they lost many potential customers. After performing qualitative research, we discovered two main customer concerns. They are not sure how quickly they can get their products and how much the shipping costs. The second condenser was making sure their products are genuine and not fakes – it happens often for their brand. We created “Variation A” including unique proposition boxes that highlight they are the official online store for MAM products and all their products are 100% genuine. The other box included details about their free shipping and 2-day delivery. We tested it against the original product page and it resulted in 13.7% increase in add to cart rate and 9.5% increase in their conversion rate with 96.6% probability of being the best. The qualitative research via customer surveys and on-site polls really helped us with collecting actionable insights about their customer purchase behavior. We used them to address the issues in their conversion funnel and it all resulted in a very important boost in their sales. That’s why you need to do extensive research before starting conversion optimization – we could never achieve the same results without understanding their customers and knowing what stops them from purchasing. These are only a few examples from our on-going optimization program with MAM. We had many follow-up tests based on the collected insights from the presented results and used them to keep improving their site for many months.